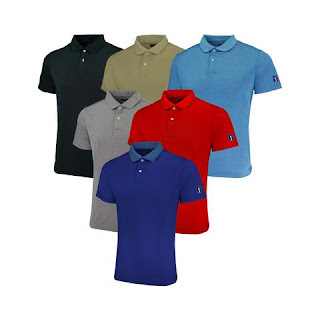 Start early and snag these PGA Tour Men's Mystery Polo Shirts 3-Pack for ONLY $37 (Retail $180) and stash away for Father's Day. The highest quality polo shirts PGA Tour has to offer! Get a 3-pack of assorted polos for yourself or get them as a gift for a family member or friend that likes looking good. 3 shirts for the price of one! Packs will include Heather, Knit, Stretch, Sport, and many other PGA Tour Men's Polos.